The BCom degree offers a flexible curriculum, providing students with a broad base of commercial, financial industrial and public knowledge. 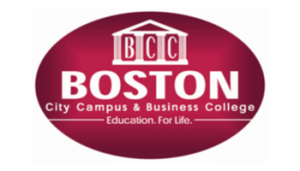 Boston Counsellors will assist you in selecting your modules in line with UNISA’ s offerings and your intended career path in the commercial, financial, public or industrial sector. The flexible modular system allows students to focus their degree, thereby enhancing its value by specializing in a specific career. Modules are offered subject to demand. Modules offered differ from semester to semester. part-time basis it is essential to consult with a counsellor at the relevant campus. Since the number of modules from each of the BCom specialisations is so large, the module offering at Boston is understandably smaller. We do offer modules common to the specializations which is why each specialization is listed. While we encourage you to confirm which modules are offered at your campus of choice before you complete your registration with UNISA, we would not deter you from registering for your degree of choice. While a module may be cancelled, it will not be cancelled once the academic semester has begun. In order to determine exactly which modules are offered on either a full-time or part-time basis it is essential to consult with a counsellor at the relevant campus.